After cleanup. 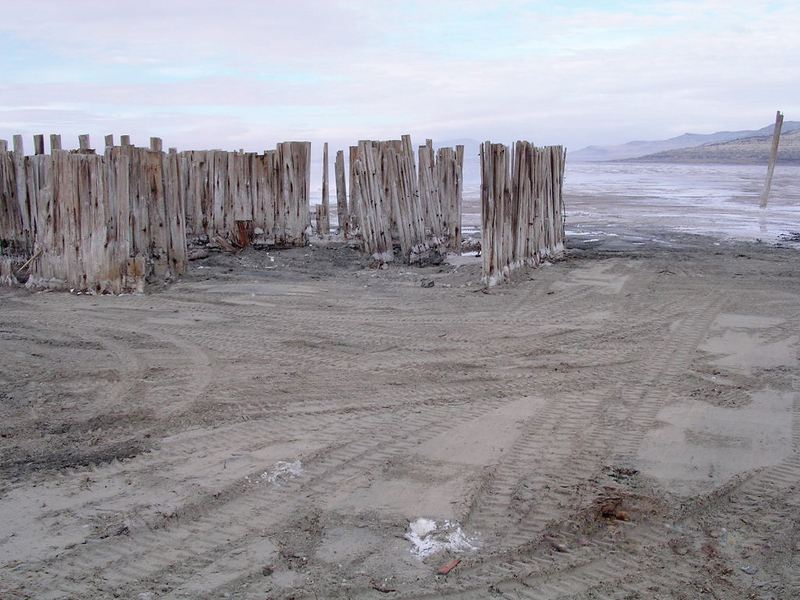 The historic wood pilings were left in the ground (photo courtesy of the Division of Oil, Gas and Mining). 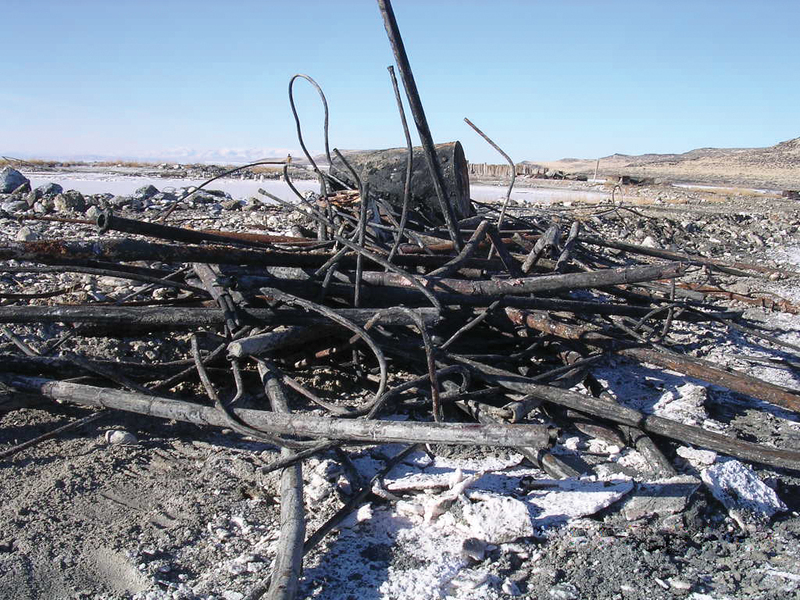 Several past editions of Survey Notes have run GeoSights articles on the oil seeps found at the Rozel Point oil field (September 2005, August 1995 [pdf]) and the Spiral Jetty earthwork art (January 2003) located several hundred yards to the north. 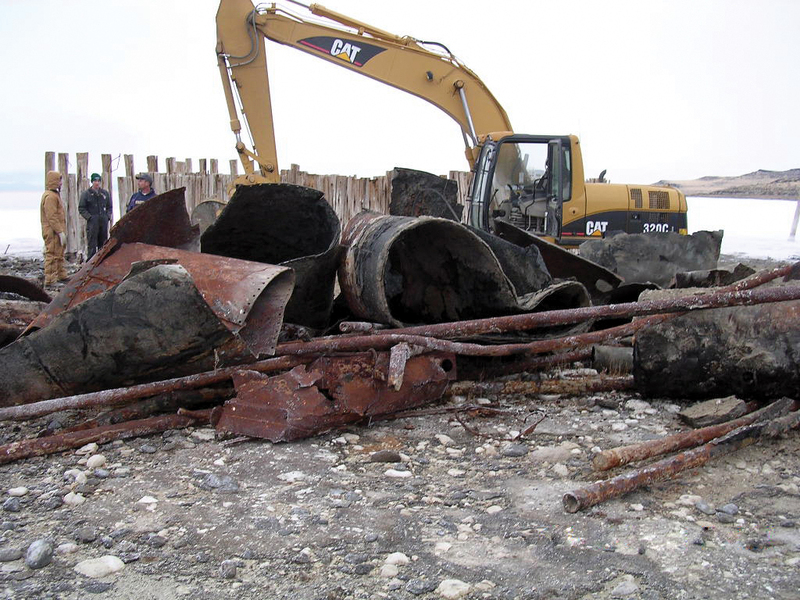 In addition to the earthwork art and natural wonders such as red brine, white salt, black basalt, and crude oil seeps, tons of industrial debris left from decades of activity at Rozel Point was obvious to anyone who visited the area. Although the natural oil seeps continue to flow, we are pleased to report that the debris is now a thing of the past! 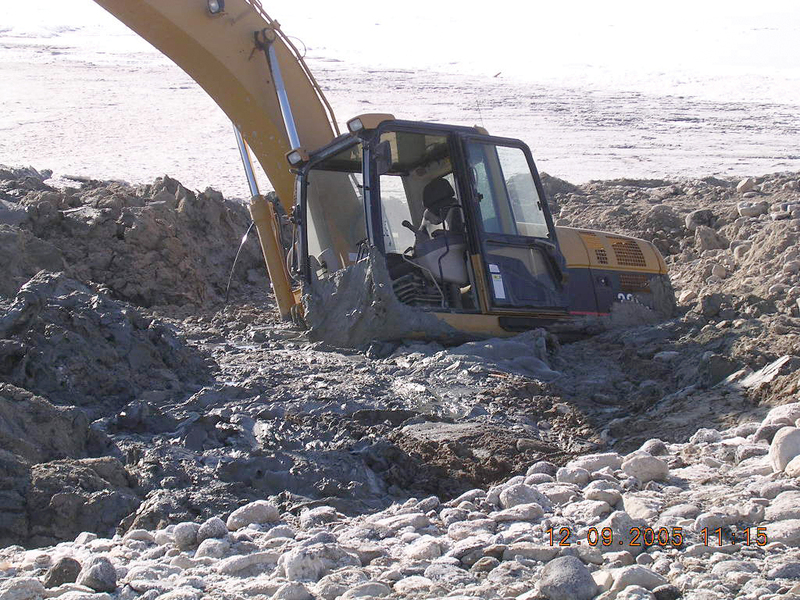 Two UGS sister agencies, the Division of Oil, Gas and Mining and the Division of Forestry, Fire, and State Lands, completed a cleanup project at Rozel Point in December 2005. 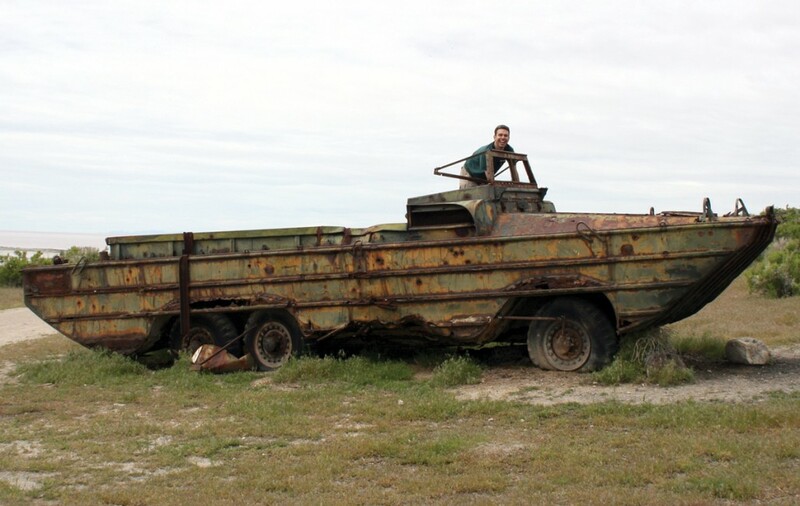 They removed rubbish including gathering lines, boilers, tubing, pump jacks, tanks, the skeletal remains of a singlewide trailer, and even the rusted hulk of a military amphibious vehicle. 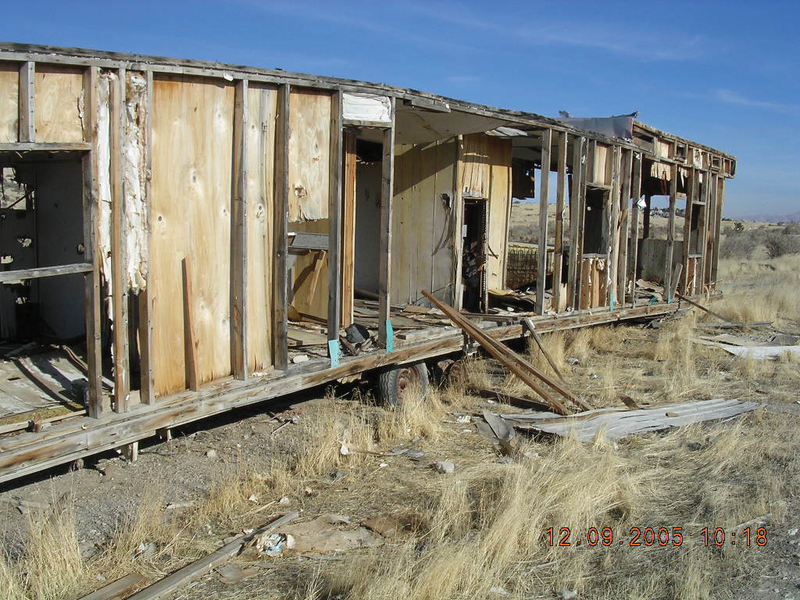 Within 16 days, a total of eighteen 40- cubic-yard dumpsters full of junk were hauled away! Only some old wood pilings and historic stone building foundations were left behind. 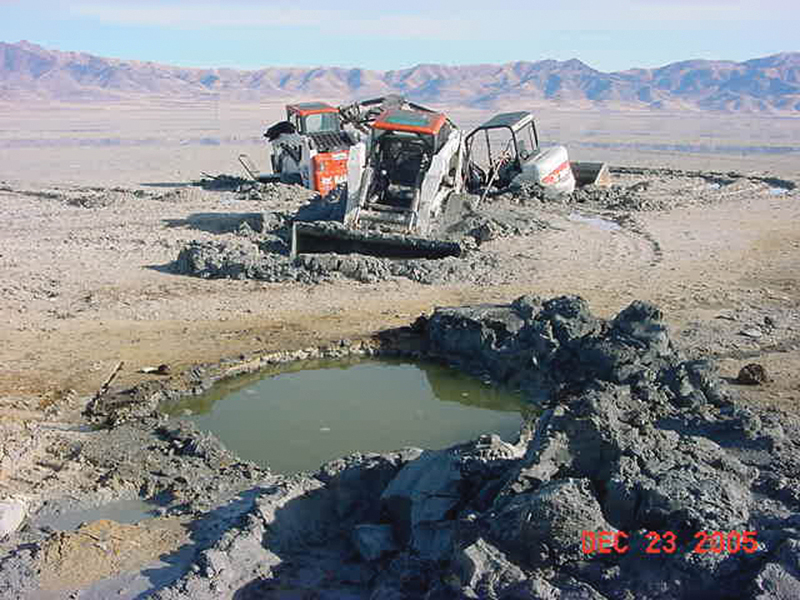 Funds from the Division of Oil, Gas and Mining’s “orphan well” program were used to pay for the cleanup. 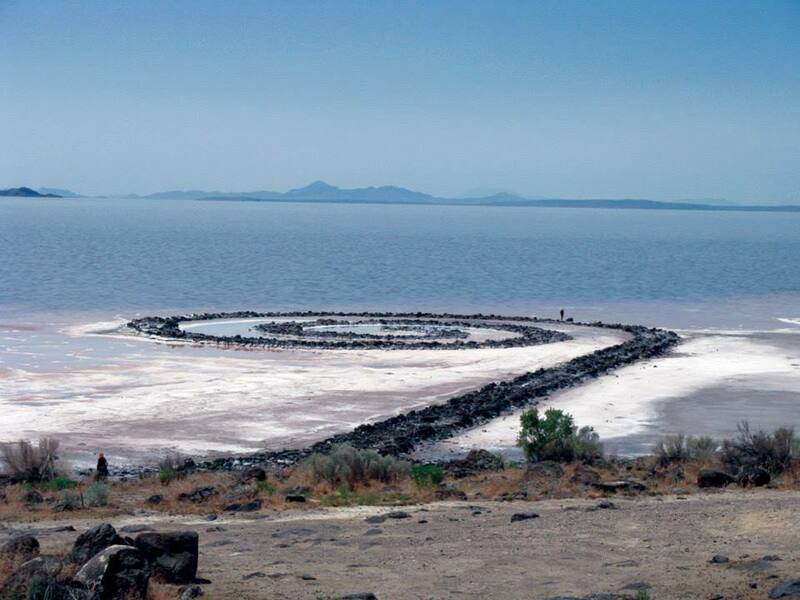 So, if you have ventured to the area before, either to see Rozel Point or Spiral Jetty, you may not recognize it when you return! 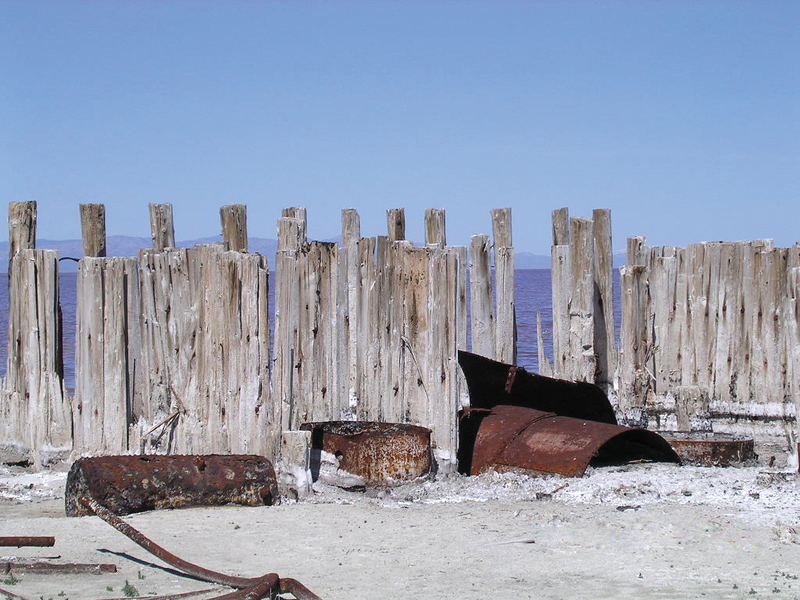 For more geologic and historical information see the September 2005 Survey Notes GeoSights article and the article on the Rozel Point oil field in Great Salt Lake, an Overview of Change (2002) edited by J. Wallace Gwynn.